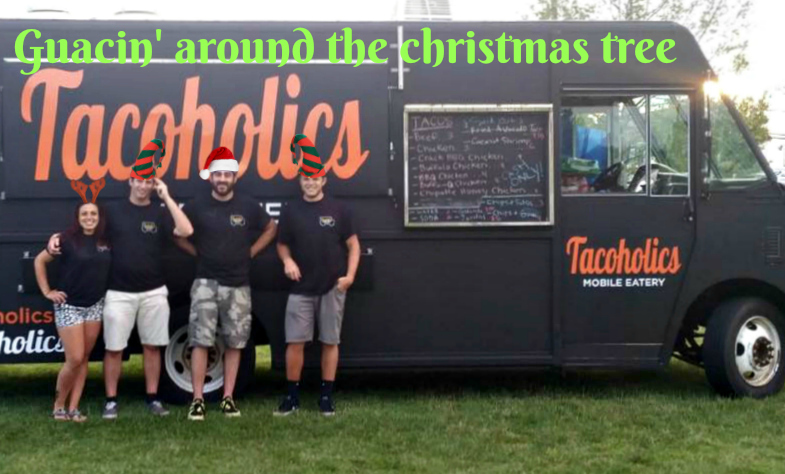 Our food truck is a very simple huge matte black truck that pops with the big Tacoholics logo written in orange. 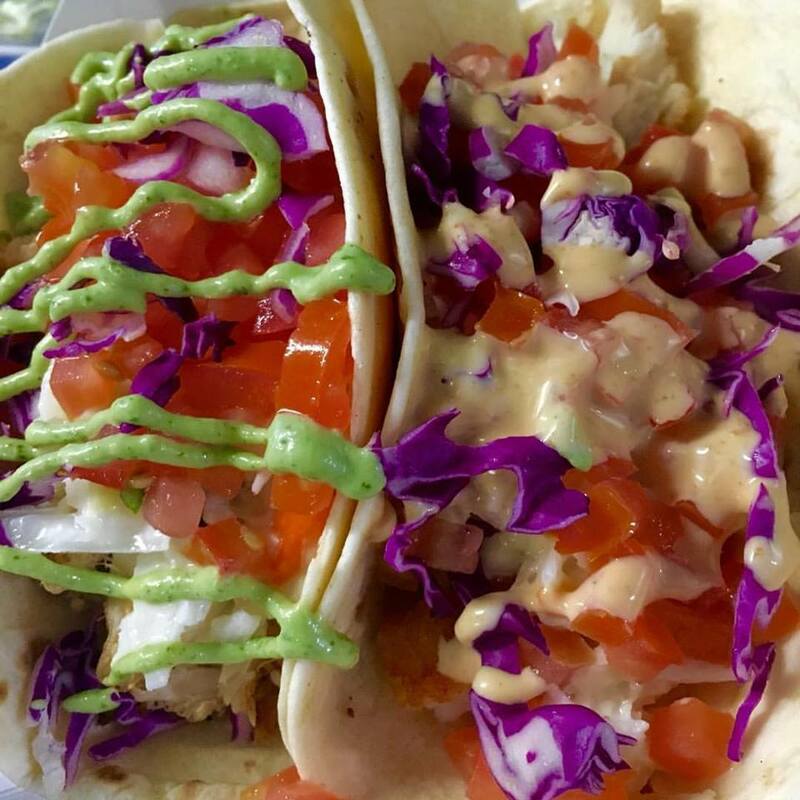 What differentiates us from the rest of the taco trucks around is our homemade specialty sauces, like Crack BBQ sauce and variations of tacos made with fresh ingredients. We are always creating new fun, flavors that go a little outside of the box of the traditional taco everyone is used too. To us presentation is everything and we pride ourselves on always serving the most eye opening tacos. If it looks great, it tastes even better! Why did you decide to open a food truck? When the three of us (Nick DeAngelo, Rob Bruno and Lou Raccuglia) took a trip to Florida after we graduated college, we realized that the only food we were eating were tacos. Literally every meal we had for the five day trip seemed to be tacos. With that inspiration and the popularity of the food truck scene we figured that if we serve the food that we enjoy eating, then everyone else would love it too. Turns out that was the right decision. Everyone loves tacos! It’s very hard to pick just one event that was our favorite and most memorable. One of our very first events was the Atlantic City Food Truck Festival. We prepped for two days and sold out of everything in one day. Our line seemed to be endless, and that was when we realized how many people loved our food. It was that moment that we realized that our decision to start a food truck was the right one. Taking part in the Monmouth Racetrack Jersey Shore Food Truck Festival was another huge goal of ours. We were lucky enough to have the chance to participate in May of 2017. Our line seemed never ending, and we had the pleasure of meeting many other food trucks that we had never met before. This is another hard question to answer. First of all, the best food we have ever eaten has come from food trucks. I don’t know what some of these other trucks are doing with their ingredients, but my mouth waters over their dishes. At every event we all trade food, and it’s priceless when another vendor grabs some tacos for their staff. Another thing we really love is the positivity towards each other that all the food trucks bring. You can’t beat the feeling of the family atmosphere among the food truck owners. Every single event we attend, we are all rooting for each other to do well. We all want to help each other, not necessarily compete with each other. We’re always up for weddings and catering. With just one truck, it sometimes difficult to do, but with our new restaurant were always looking forward to doing more. On November 25th we opened our doors to our first restaurant in our own hometown! Come stop by, show us some love, and crush some tacos! Gift certificates make great stocking stuffers.